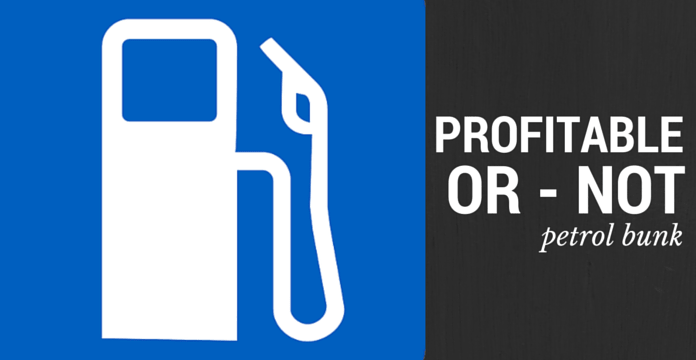 Petrol Pump Business in India – Profitable or Not? The inception of the petrol pumps would look really great for earning good amount of profit. However, the days when there were petrol pumps were in great demand and there was lot of chunk of the crowd that came forward for this business. However, today, it does not look the same. There is addition of private competition in the Indian market of the petrol pumps and this has led the person who would be interested to install the pump to think twice on this decision. However, this is not the only reason for getting away of the proprietors from showing the interest in starting of the concerned business, but also there are many issues relating to the cost that make them to back off from the same. The cost for the stocking of the petroleum has become very expensive and the same is seen to be increasing. With the investment being made for lakhs together in the business, the return is delayed for a long period of time. The reason being the return as a profit per liter is quite low. The cost of maintaining the bunk is very high and requires additional operational cost that is involved in the same. There are nearly two thousand and odd petrol pumps that are decided to be opened by the Essar, RIL in the outskirts of the city. The setting up of the petrol pumps would lead to the development of the business in the longer run even though there is currently less demand. The current trend is seen in the lookout for more of rent from the buildings rather than waiting for the return from the petrol pumps which is meager. It is also seen that the sources that get the fuel from the main source which are called as depots would travel through a long way to reach the bunk and some part of the fuel get evaporated due to the climatic changes and the same would be a waste of investment. There cannot be a positive debate on the fact that whether the investment in the petrol pump would be a benefit or not as the same depends whether the place where it is situated would attract more customers or not. Finding the dealers by the oil companies have become difficult as the proprietors of the small businesses are no more interested in the investment made in the petrol pumps for the reason that the same involves more cost and less return. Also, that the investment same done in the estate sectors reaps return faster than the one done in the Petrol pumps. The owners of the places assume that the investment done on the pumps could be very much done on the building of the malls and apartments. The reason behind such a thought is because they feel that the return from such an investment is high and also with less issue relating the time taken to complete the transaction of the business. Hence, as the earning capacity was more in this regard, the same was opted by more number of people in the market and the installation of the Petrol pumps with the giants that prevailed till then started getting vacated. Hence, as the same involved a lot of issues, the demand for the new inceptions lowered and the transfer of the business was done by the owners of the sites to a different aspect. The fact would not be that there is loss in the petrol bunk business or delay in the earnings as some of them are still earning good with the set up being set in the outskirts as well. It would very hard to term it as ‘no business sector’ and would be termed as a short-term phase of loss for it. Let me know the approximate investment to open petrol pump in rural aria. How to open a petrol pump in urban area. Please reply with interest and how much it vl cost. Hi am Tharun Reddy am planning to laid a petrol bunk.so please help me out for the formalities what we need to ensure….??? I would like to open a Petrol Pump near Kalpakkam on ECR road. Kindly provide the procedure and fees structure to get dealership.